I come to you! 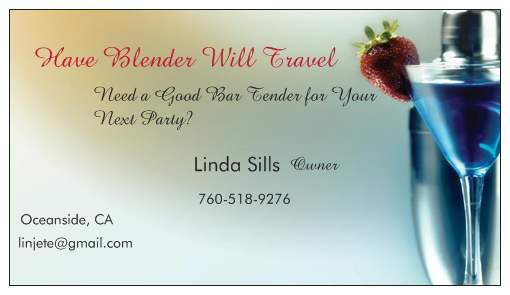 If you need a great bar tender for your next party or event, this is the company for you. We supply the bar tools and the qualified bar tender.